A true family man and passionate worker, Carlos Estrada founded DSE Electric Inc. in 2016. Born and raised in Mexico, Carlos’ "absolute love" for the electrical industry was the spark in the powder keg of his career. Beginning as an apprentice in 2001 Carlos worked trough the ranks of the electrical industry becoming a foreman and general foreman in 2006, then superintendent in 2009. Carlos worked for 16 years to finally reach his goal of starting his own electrical company, truly epitomizing the "American dream" of hard work and success. This "absolute love" also inspired him to work as a credential Electrical Instructor at the Electrical Training Institute teaching others of his adoration for electrical mechanisms, one of Estrada’s proudest achievements. Carlos reminisces on his prior work experiences but keeps his eyes fixed on his never ending "next-goal". For DSE Electric Inc., Carlos, of his ardent character wants to "rule the world!" by "becoming the best electrical contractor in the Los Angeles market". It is this contagious zeal and effervescence felt the moment you step into Estrada’s office that has borne the mission of DSE Electric Inc. When he is not at work or figuring ways to create the greatest company he can, Carlos can be found spending time with his wife and their children – the eponym of his company. Wander into the office of project manager Eddie Bible and you’ll find walls adorned with classic cars and Laker pride. Bible entered DSE Electric Inc. with 16 years preceding experience. Starting out as an apprentice and working his way up from field worker to superintendent to field operations manager, Eddie comes with experience in all facets of electrical work. Once he started in the field, he never turned back. Now, Eddie envisions a bright future for DSE Electric Inc. He hopes the company will flourish to a large scale electrical firm with a large team of project managers to work alongside him. Miguel Tafolla, former U.S. Marine Electrical/Combat engineer, is the reigning superintendent of DSE Electric Inc. After "falling into" an apprenticeship then finding his way to a position as a journeyman, Miguel established his career. Tafolla worked previously at 3 electrical companies with at least 6 years at each. Some of his key projects include work at the Americana at Brand and the Kodak Theatre in Downtown Los Angeles. Most recently, Tafolla completed a project with Westfield on the Century City Mall electrical network. The senior project manager boasts of Miguel’s adeptness to coordinate all members of a project from Westfield staff, to local utility companies and material suppliers. Specifically, the project manager makes mention of the honesty, integrity, commitment and dedication to teamwork that Miguel takes in his work. Luis Pelayo is one of the many dedicated service foremen that lay the foundation of DSE Electric Inc. With 10 years of electrical experience and 8 years in construction, Luis brings knowledge and passion to the company. Luis sought a position at Southern California Edison as a meter reader. What started as a temporary position soon became a career. Pelayo’s manager at Edison was so impressed by his production that he referred Pelayo to another electrical company that ultimately sponsored his electrician’s education. Pelayo says all he has accomplished thus far in the electrical field is with strong recognition to both Carlos Estrada and Miguel Tafolla who truly took him "under their wing". Pelayo sees DSE Electric Inc following its current trajectory in continuing its explosion of growth as a company. As the company does so, Luis hopes to work his way up the rungs of the corporation. Jose Felix entered the workforce as a Machine Operator in the textile industry in order to fund his education while attending Cal State Fullerton. It was during this time that his interest peaked as he began assisting the many Service Technicians that cared for the machinery. It wasn’t long before he began working side by side with Service Technicians, and New Machinery assembly men. His troubleshooting skills soon paved a path towards the Elecrical Department. Education continued gradually, as the demands of his professional life began to take precedence. In 2003, Jose joined the IBEW Electrical Union, and refocused his goals. Starting as an apprentice, with a prominent Electrical contractor, a 15 year tenure saw him rise to the position of General Foreman. He was at the forefront of various projects for well known Businesses, such as Google, Whole Foods, Aecom, Hulu, and USC. In this time he led his workforce by working with his team mates closely. He recognizes, that the success of a project is not dependent on one person, but the efforts of everyone involved. Striving to not only see projects through, but solidify the future of the electrical industry, Jose has always sought to share his knowledge, and learn from those around him. 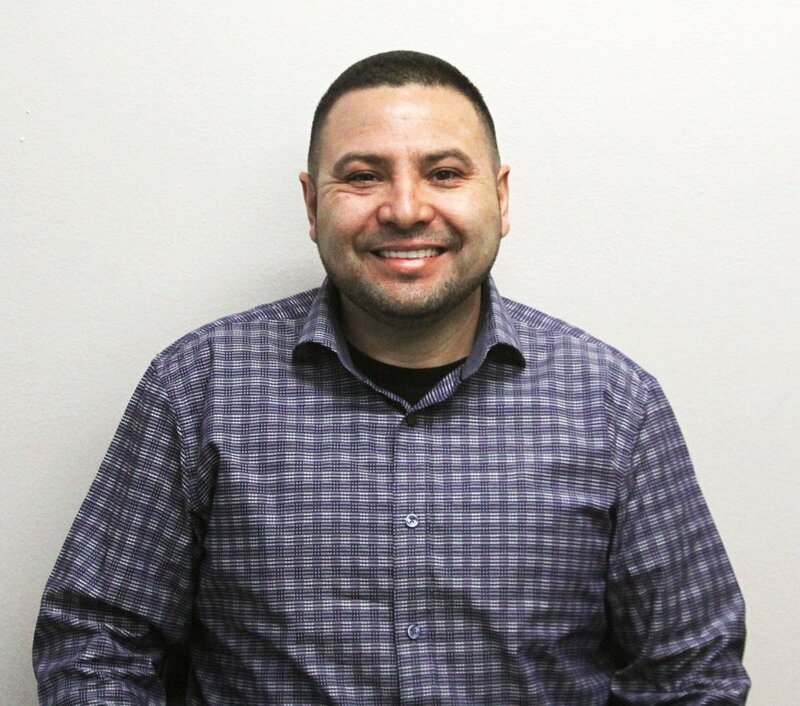 Having joined DSE Electric Inc. as Superintendent for Tenant Improvement projects, Jose now looks to furthering the success of DSE, the many projects currently underway, and those that are to come. He aspires to work with the many dedicated members of DSE’s team to ensure success. Jeff Vanhorn comes to DSE Electric Inc. with over 25 years of experience in the electrical field. After finishing high school in San Clemente and pursuing an associate’s degree, Jeff found his niche as an apprentice for an electrical company. From there, Vanhorn worked his way up the rungs. In prior work he has been praised for his prodigious work as a team member and use of his electrical background to finish projects to the best of his abilities. Jeff is also renowned for his work with clients, building relationships and creating long-term business accords. Jeff is continuing to build his legacy at DSE Electric Inc. as a senior project manager.